This is a fainting or near-fainting condition that occurs among people who have been standing in one position for a period of time, usually in the sun, but it can occur in any warm environment. Standing still causes of the blood to pool in the lower region of the body, which leads to fainting after some time. In summer, this is not uncommon at outdoor receptions or weddings. It may also occur to sports athletes or at construction sites, affecting the worker who stands on the streets in the hot sun directing traffic. Individuals should lie down in a shady spot and drink water. Flexing leg muscles and moving around periodically during the work shift along with regular intake of water all help prevent the condition. Heat syncope is a fainting (syncope) episode or dizziness that usually occurs with prolonged standing or sudden rising from a sitting or lying position. Factors that may contribute to this condition include dehydration and lack of acclimatization. 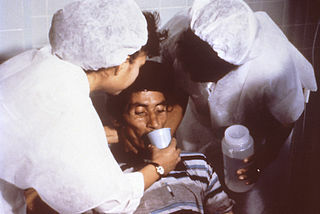 The basic symptom of heat-syncope is a body temperature above 40°C (104°F) with fainting, with or without mental confusion, which does occur in heat stroke. Heat-syncope is caused by mild overheating with inadequate water or salt. In young persons, it is far more common than true sunstroke. Treatment is the same as for vasovagal syncope. The ABCs of cardiopulmonary resuscitation should be followed. The legs should be elevated, the heart rate monitored, and blood pressure monitored if possible. Once the individual regains consciousness, he or she should be given fluids and carbohydrate (e.g., a light snack or sport drink) and instructed to refrain from activity for the rest of the day. Any underlying illness should be addressed. It is typically caused by heavy perspiration with resultant loss of body fluid, causing an imbalance in the salts and minerals of the muscles, which in turn can causes cramping. Heat cramps can be very painful but do not usually last very long and do not cause permanent disability. Treatment for heat cramps include removing the individual from the hot environment and providing plenty of water to drink. Kitahara T. Classification of heat illness. Nihon Rinsho. 2012 Jun;70(6):929-33. Br J Anaesth 2002; 88: 700–7. Heat stroke: implications for critical care and anaesthesia. Oxford JournalsMedicine & Health BJA Volume 88, Issue 5Pp. 700-707. MICHAEL W. BARROW, M.D., and KATHERINE A. CLARK, D.O. Heat-Related Illnesses. Am Fam Physician. 1998 Sep 1;58(3):749-756.